After releasing iOS 10.2.1 a week ago, Apple today has stopped signing iOS 10.2 firmware. Here’s what jailbreak users need to know. As most of you may already know by now, Luca Todesco dropped yalu102 last week to jailbreak iOS 10.2 on all 64-bit devices except the iPhone 7 and iPhone 7 Plus. But with Apple now no longer signing iOS 10.2, those of you who haven’t upgraded or downgraded to iOS 10.2 yet won’t be able to do so now the easier way using iTunes. Fortunately, those of you who followed our advice and saved SHSH2 blobs for iOS 10.2 when Apple was still signing the firmware will still be able to technically downgrade to the said now-unsigned firmware using Prometheus set of tools in the near future, though some limitations will apply. You can learn more about it here. 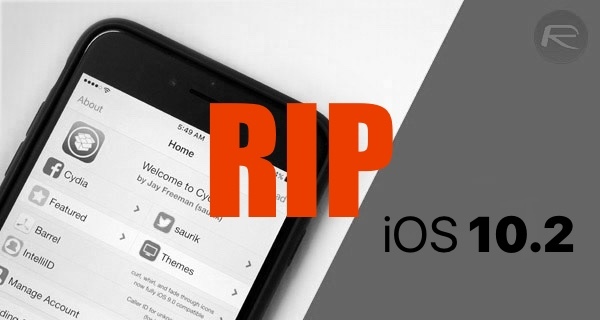 But if you didn’t save your SHSH2 blobs for iOS 10.2 in time when the firmware was still signed, then you are out of luck now as Apple is no longer signing the firmware, meaning not only can you not downgrade to the said firmware using iTunes anymore, but you can also no longer save SHSH2 blobs for it. When will next jailbreak come is anybody’s guess at this point. Luca Todesco has already stated that he will be done with public jailbreaks once he has dropped his iOS 10.2 jailbreak. It will be interesting to see if he changes his mind, or if another team like the China-based Pangu or Taig will step in once again. As always, we will keep you updated once we know more about it. Stay tuned. I was going to instal it tonight, too. Wow about 24h and bam! Door closed!! ugh. i got on at 6 and checked if they were still signing which they were so i started downloading all the tools and the ipsw. 45 minutes later i’m trying to upgrade to 10.2 and getting errors so i’m like wtf? then went and got my phone stuck in recovery mode like a dumbass, and eventually come across this. so basically those douchebags over at apple decided to stop signing in the middle of my download, in the middle of the afternoon, not like at 12am like usual -__-. luckily i did get the blobs in time but who know if i can even downgrade since people are having loads of trouble with promethius……..
sorry guys…I’m never sure about this…I cant downgrade, but can i still upgrade to 10.2 if I am on ios9 and how? Unfortunately you can’t upgrade to iOS 10.2 from iOS 9 already. Apple has stopped signing iOS 10.2 5 hours ago. Wish tinyumbrella still worked like the old days get passed the signing issue. Jailbreak opprtunity window for iOS 10.2 has been so small that I have the feeling that people who updated like me are left in limbo in regard of cydia support and jailbreak stabilization. Oh well at least SwipeSelection works on my iPhone6. ‘wished the same would go for CallRecorder , FLEX. Prometheus is so complicated to use and you can only use it on a Mac anyone have an easier alternative? Must be really hard that devs have not been able to overcome this signing business in 2017- this is being the main impediment from having a stable jailbreak. Talk about coming in under the wire! Next jailbreak will probably be iOS11. Can i jailbreak on 10.0.2? It works on Windows too. I know that I cant downgrade – but beeing on ios9 I cant upgrade either, right? As of now you can’t anymore but good news if you are still on 9.3.3 jailbroken. I am on 10.2 jailbroken and I regretted it. It is so buggy as compared to 9.3.3 which is rock solid in jailbroken state. Everyone, do not install app sync app until sync updated. It is not for iOS 10 yet! 9.3.3 jailbreak rocks. I’ve been on it since forever…. Same lol, but at this point Im thinking about updating to 10.2.1 and waiting there. You don’t need to jailbreak a phone to activate a phone. If the phone won’t activate, then it’s probably a reason for that. Are SHSH blobs different for different versions of iOS on the same phone? So if I saved SHSH blobs for 10.1.1 on my 6s and I’m on 10.2.1 can I use them to downgrade to 10.2? You can use a microchip sim such as r-sim. That unlocks ur device using any sim! 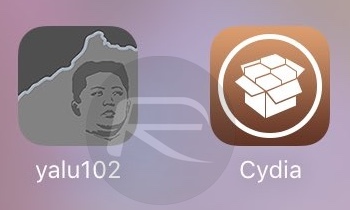 Hello,im jailbroken 9.3.3 and i’ve been having issues with cydia, and repos errors,am i the inly one? I was having cydia problems (9.3.3) had no option but to upgrade to 1o.2.1 – sux. Shsh blobs are not used anymore, that died long ago with ios 5 or 6.
the certificate for english Pangu will expire in April 2017. so what’ll happen next then? I am on 9.3.5, can i upgrade to get a jailbreak?, thanks for any help.